Looking for a reliable place to store your extra belongings or rarely used items? Whether you’re gearing up for a business move across the country or are simply looking to free up a little extra space around the house, Liberty Movers offers safe and secure Worcester storage you can count on. From bulky office furniture to priceless family heirlooms, we have the spacious warehouse capacity and skilled packing staff to safeguard any household or commercial item—for as little or as much time as you need us to! Since 1920, we’ve offered exceptional household storage solutions to homeowners across Worcester and central Massachusetts. No matter what kind of item you need stored—whether it’s bulky exercise equipment, a delicate woven rug, or an antique sofa—you can rest assured that we’ll keep it clean, safe, and untouched until you need it again. For maximum protection, you’ll get a customized storage vault assigned only to you; once we’ve carefully inventoried and applied protective furniture storage measures, we’ll seal your vault shut and keep it under close watch in our secure warehouse facilities. Warehousing and Distribution: Let our warehousing experts handle your nationwide shipments and product deliveries. Local Deliveries: As Worcester’s oldest and largest moving company, we have local expertise you won’t find anywhere else! Retail Storage: Store your seasonal storefronts, extra inventory, or display materials in our secure warehouse and access them any time you need to. FF&E Storage: Building a new hotel or moving your factory’s location? Our spacious warehouse can accommodate all of your heavy machinery, delicate fixtures, and more! 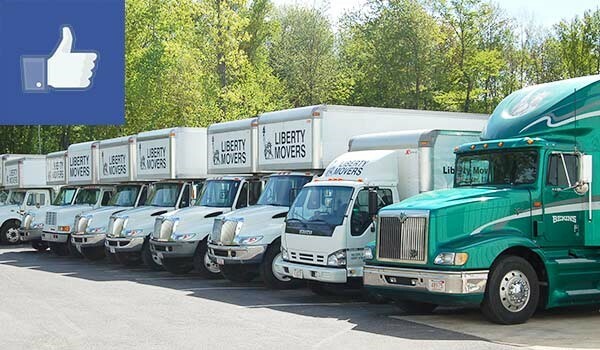 Whether you need storage as a stand-alone service or as part of an office or household move, one thing holds true: We at Liberty Movers always start by offering a free, no-obligation cost estimate in the comfort of your home or office. To find out just how affordable our storage, distribution, and delivery services can be, don’t hesitate to get in touch today! Call us to speak with a Worcester storage specialist, or request your free estimate right away by filling out our online form.